I always enjoy noticing differences between Portuguese and English. Observing the differences helps my English. Today I will show you three verbs that we have in Portuguese but you don’t have in English. This is one of those rare occasions in which we need fewer words to say something in Portuguese than we need in English. Because these are common verbs, it’s a good idea to have them available in your brain for easy retrieval when you need them. As a speaker of English as a second language, I’ve often found myself searching my brain for the verb Ventar in English. Many times I got stuck at that point in a conversation. 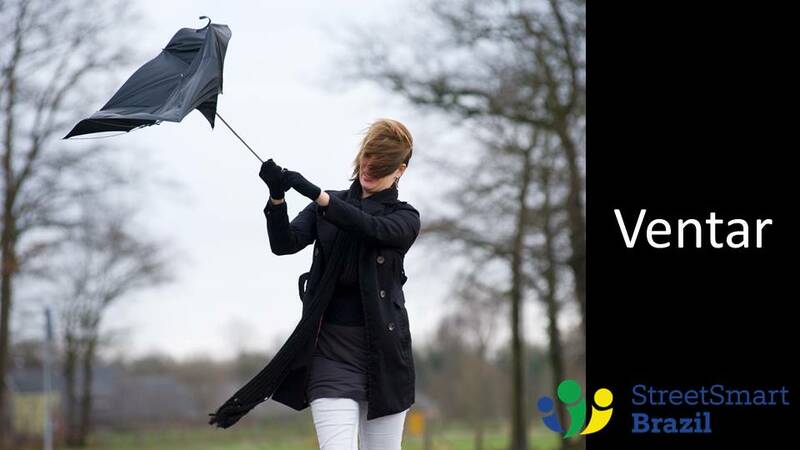 In English, we’d say: It’s very windy. But in Portuguese we say: It’s “winding” a lot. = It “winded” a lot yesterday. Espero que não vente tanto amanhã. = I hope it doesn’t “wind” so much tomorrow. Ventar is a regular verb. 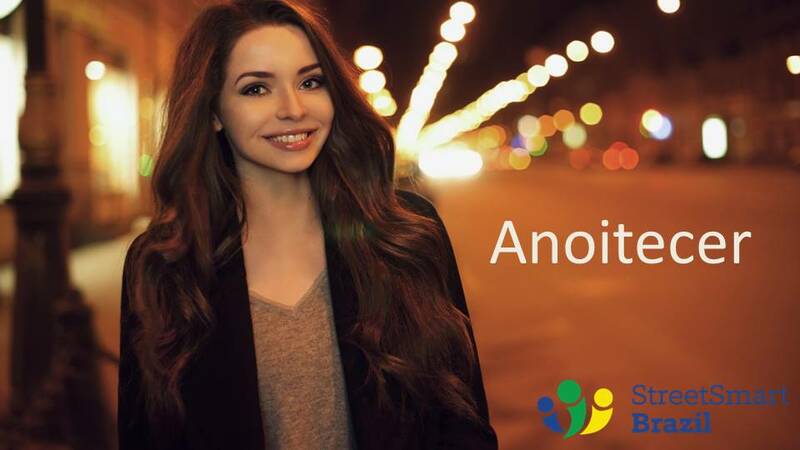 Anoitecer translates as to get dark as the night is falling. You cannot use Anoitecer if there is a daytime storm and it gets dark. In other words, it’s not simply to get dark, but specifically to get dark because the night is falling. To remember this verb, you can think of the word: Noite = night. Anoitecer is a regular verb. Espero que a gente chegue antes de anoitecer. = I hope we get there before the night falls. Anoitece cedo em Recife no inverno. = It gets dark early in Recife in the winter. Almoçar is a regular verb. = Would you like to have lunch with me? Ontem almocei em um restaurante maravilhoso. = Yesterday I had lunch at a wonderful restaurant. I hope you found this lesson useful! 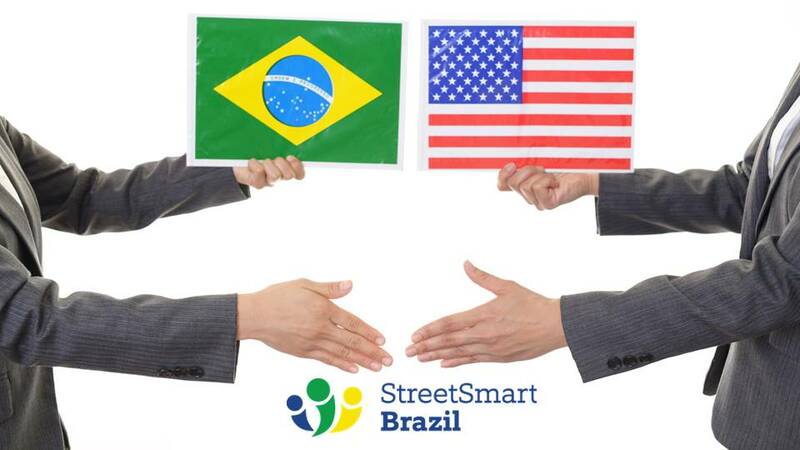 Practice and advance your Portuguese with a Street Smart Brazil teacher. We offer on-on-one Brazilian Portuguese lessons via Skype. One-on-one lessons give you the opportunity for lots of practice and allow more control over your time and what you’d like to learn. Book a Trial Lesson with one of our amazing instructors! After living in Brazil for 10 years, I do all I can to keep my Portuguese alive. Your postings help. In fact I’ve written a number of times on my blog, rkennysite.wordpress.com, about the strange and humorous mistakes we made while learning the language. It is great to keep in contact with friends with e-mail and telephone. It helps every day to read my Pão Diário and minha Bíblia–so I kill two birds with one stone. Oi, Roy, obrigada pelo comentário. Vou visitar o seu blog! Muito obrigado, Luciana, pela sua ajuda! I heard that word “anoitecer” in a song but could not understand the meaning; now I can! One slightly off-topic question: there is a great song by Bebel Gilberto – Aganju (Latin Project Mix), you can find it on YouTube, but the lyrics do not translate to English very well. Would you consider doing a short lesson or blog post on this? It’s not an easy song to understand but it’s fun and excellent lounge music. Oi, Nate! I am happy that now you know what anoitecer means 🙂 I know the song Aganju! I like it too 🙂 But I don’t really know the lyrics. I will take a look at it. Obrigada!